FREE eBook Reader - An App for iPod Touch/ iPhone Compatible with iOS version 4.2 - Blogger I.Q. “The most technologically efficient machine that man has ever invented is the book.” – Northrop Frye. You are reading this because you are a good reader and you want your old iPod or iPhone to be able to carry your best friend – the ebook ereader. But alas, you know that the iBooks app requires a minimum of iOS 7.0 whereas your iPod Touch can no longer travel the iOS road beyond its 4.2.1 limit. Here comes a saviour when I was exactly at that crossroads. Left alone to ponder over this issue with some apps that promise to deliver but fail what I really wanted – to just read books. Simple. That’s it. Finding your perfect eReader app for free for your old iOS device with 4.2.1 as the last version has become easier now. 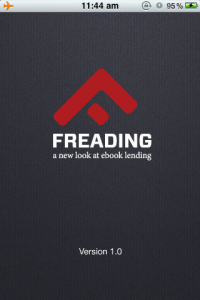 The app’s name is Freading – Library Ideas, LLC – this app comes to our rescue. It does a simple job – let’s you read, peacefully. Supports ePub, PDF – the two of most used ebook formats. Best of all, this app comes for free! This app is available from the iTunes Appstore however it’s current version is 2.1 and isn’t what we need to install. Instead, head here – to version 1.0 – which will be compatible with the base version iOS 4.0. Compatible with your iPhone, iPad and iPod Touch that are quite old school as on today. Let me know your thoughts and other app suggestions. Anna, I would suggest to copy down your books from the iDevice to your computer first using Touchcopy and then move it to your Freading library using iTunes.